Over a conversation about their daughters at a BytetheBook networking event, Mark met Helen O’Dare from Hinkler Books, Australia. Excited to break into Australian book design, Mark gave her our card and the rest, as they say, is history. 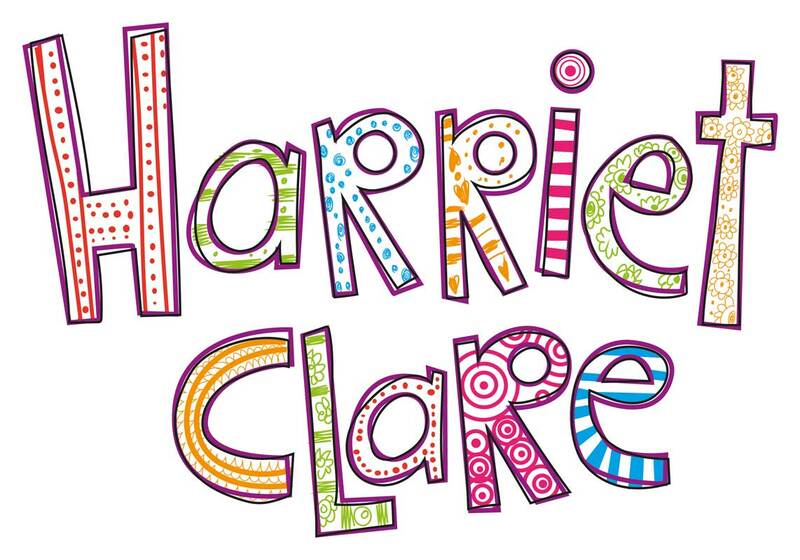 Helen kindly commissioned Mark to design a new series identity for the Harriet Clare books. 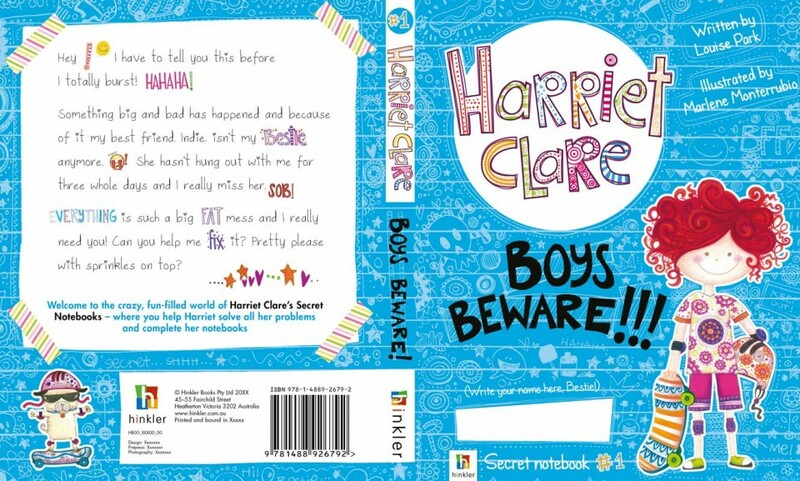 Aimed at teen girls, Hinkler commissioned four books from author Louise Park and illustrator Marlene Monterrubio. We put our heads together and offered a few different solutions that sat well alongside the competition in the local Australian market and internationally, the battle was to marry the very integrated, detailed style of the interiors which an identity that would work at thumbail. Also, the interior all had a white basis so we were keen to break the covers out with some strong colour. 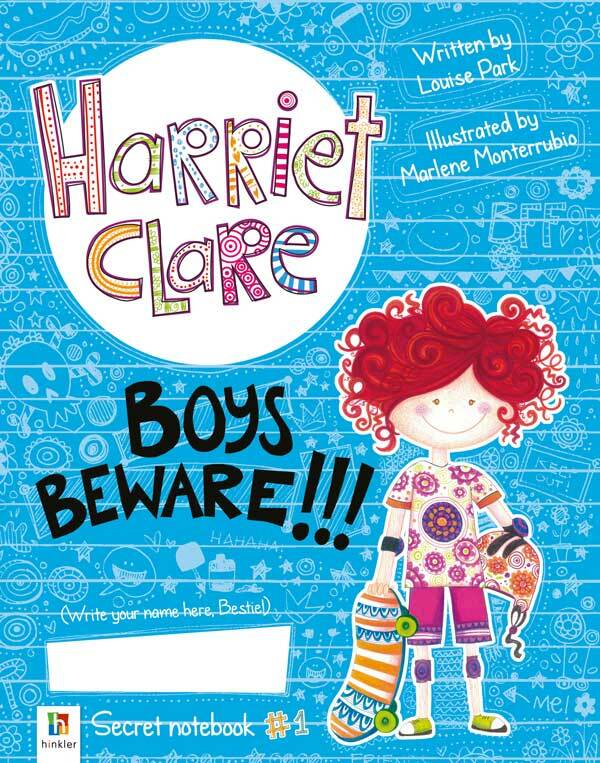 The brief was firm about featuring the character on each, so Harriet had to stand out no matter what. A notebook page, with a vectored logotype echoing Marlene’s style but reading better at scale, was chosen. Along with that, new illustrations were commissioned by Mark for the covers, a faux page taped on the back for copy, and a die cut area in the front of the printed paper case covers for the reader to write their name. 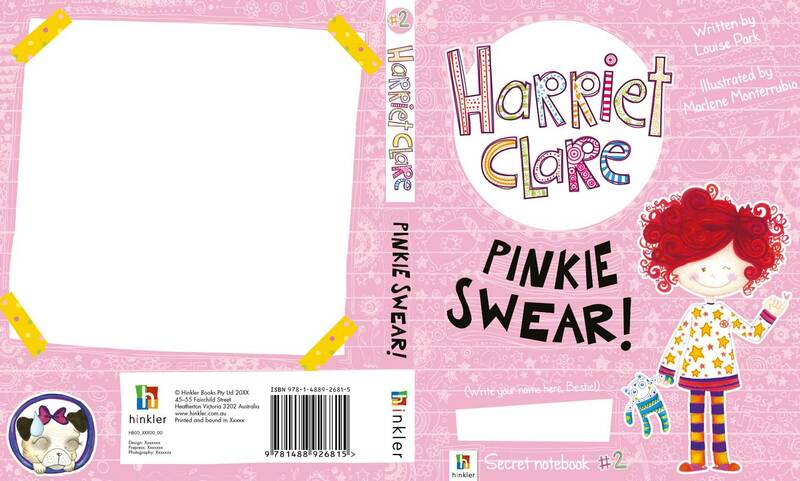 Simple but effective, not only was this our first proper Aussie cover job, but it was children’s too – one step closer to our dream of producing a fully illustrated children’s book ourselves.